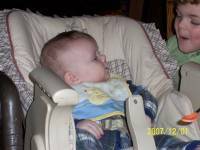 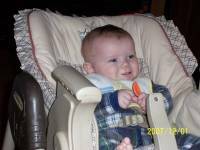 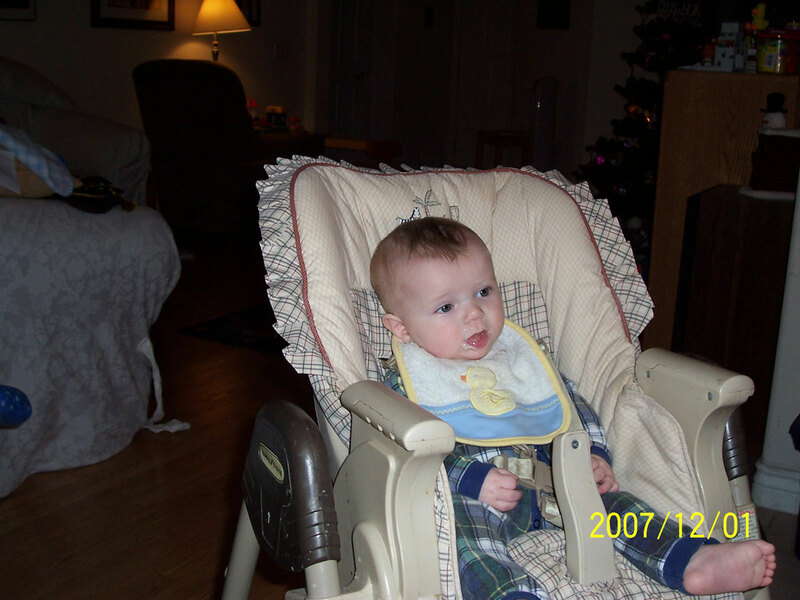 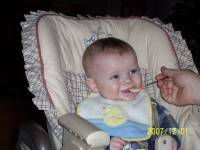 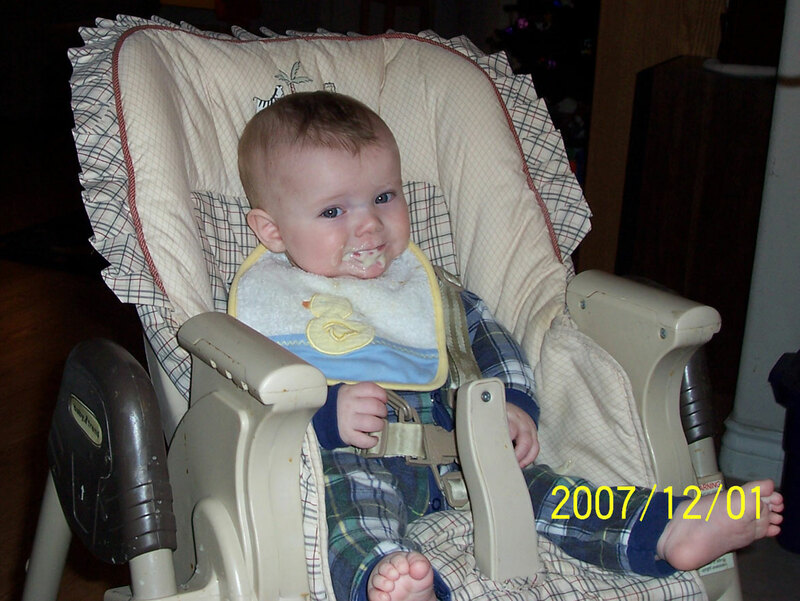 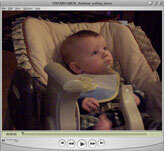 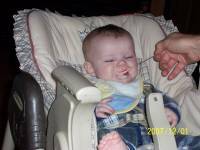 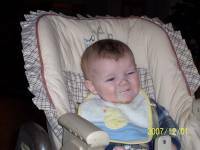 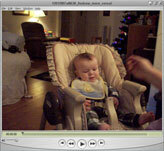 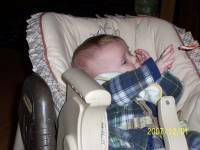 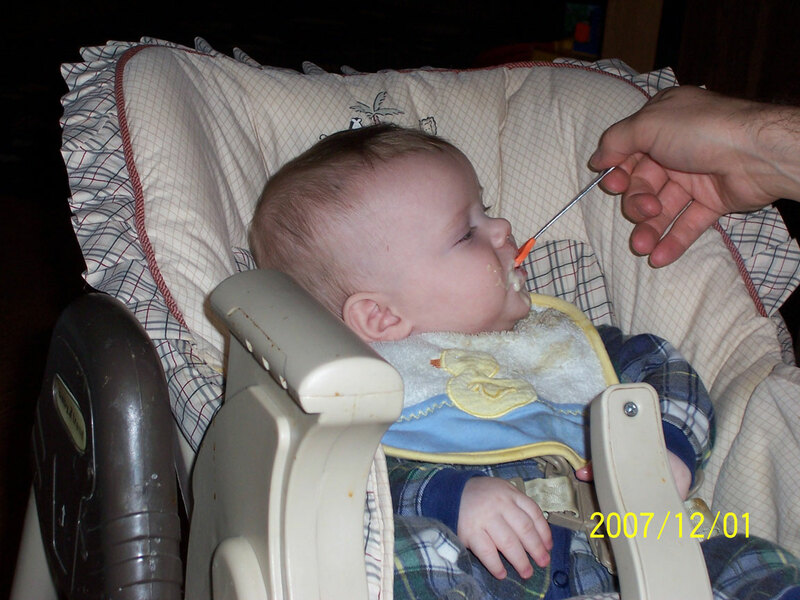 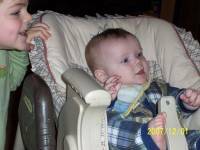 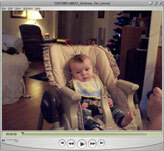 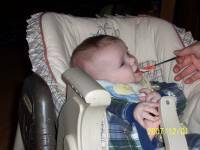 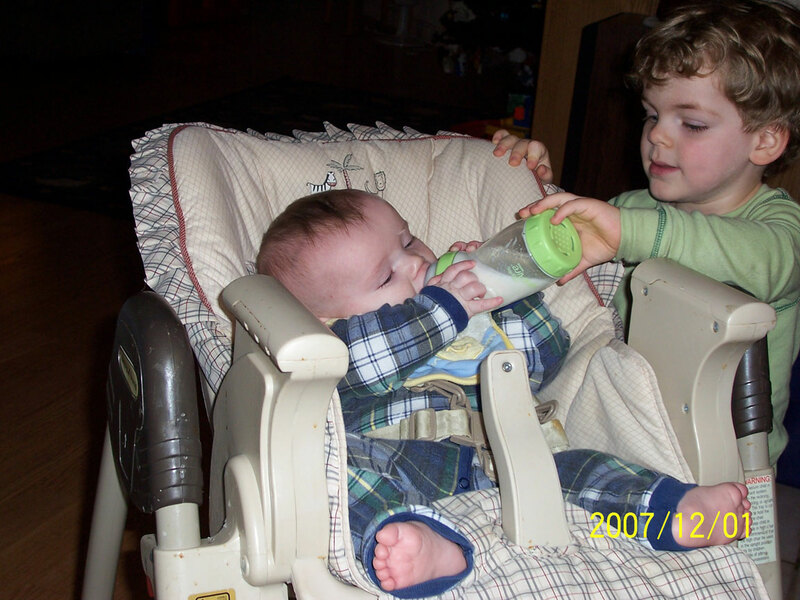 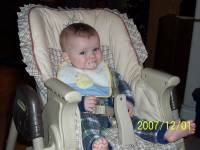 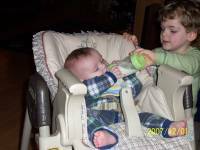 Below are pictures and videos of Mark and Andrew on December 1st, 2007 when Andrew first ate his first baby cereal. Video of Andrew eating first cereal. 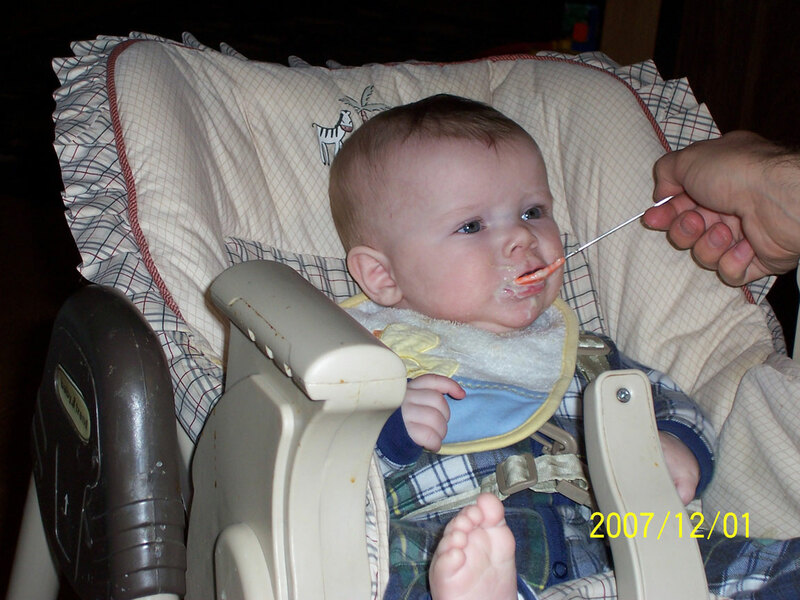 Andrew eating first cereal on December 1st. 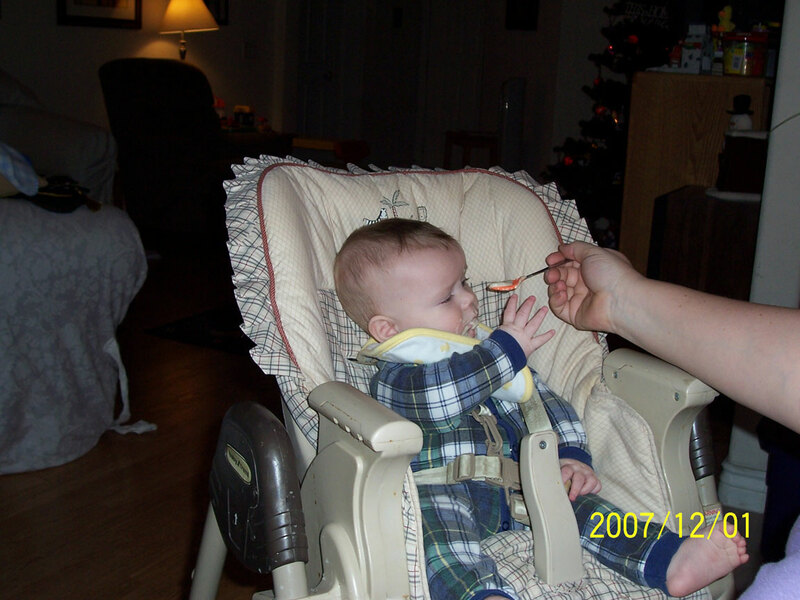 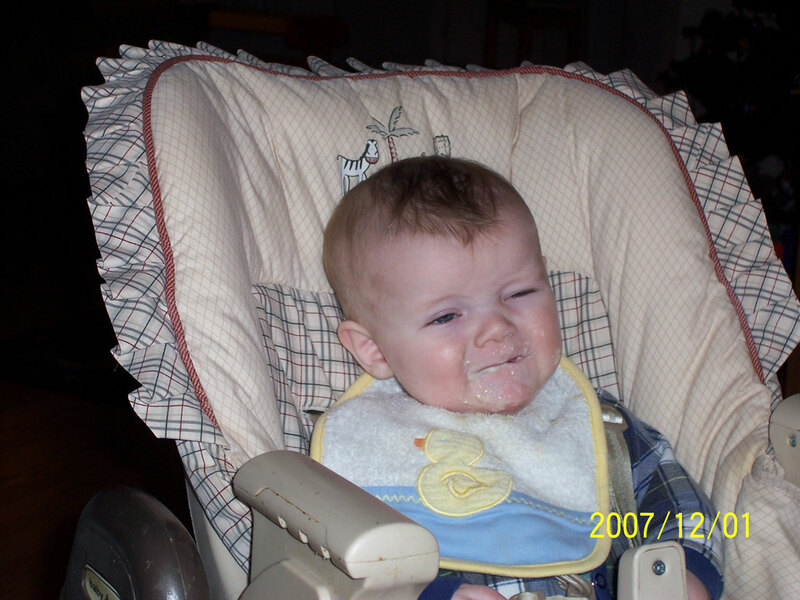 Andrew eating first cereal. 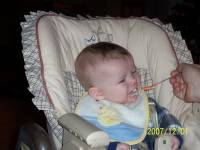 Video of Andrew eating more cereal. Andrew eating more baby cereal. Video of Andrew eating again. Andrew eating. 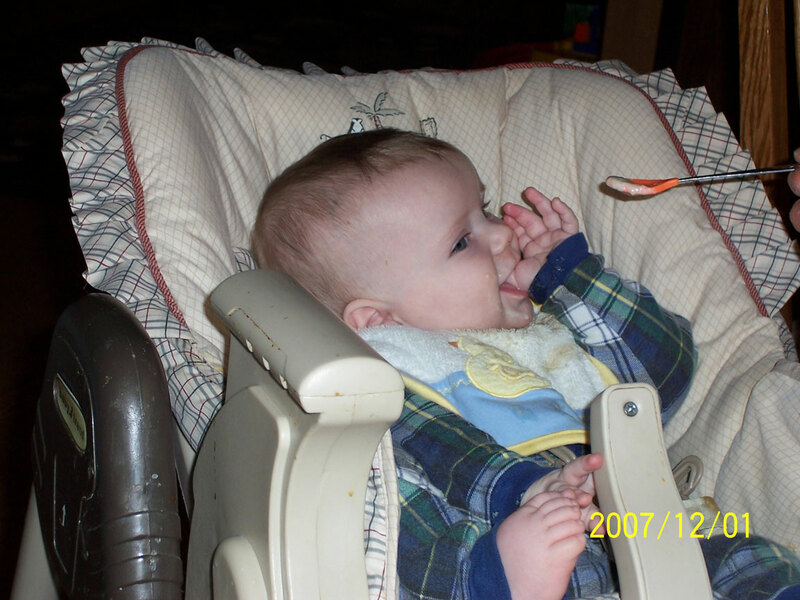 Andrew sucking thumb. Andrew sucking thumb. 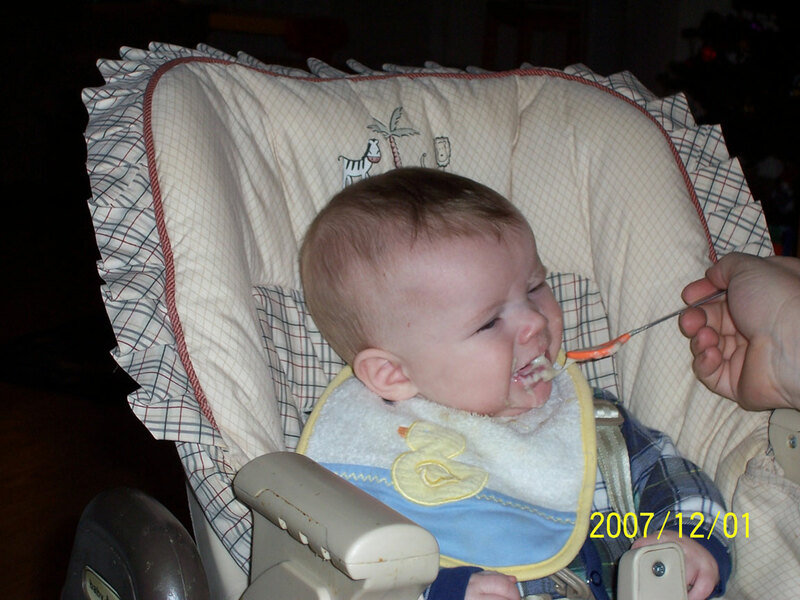 Andrew eating. 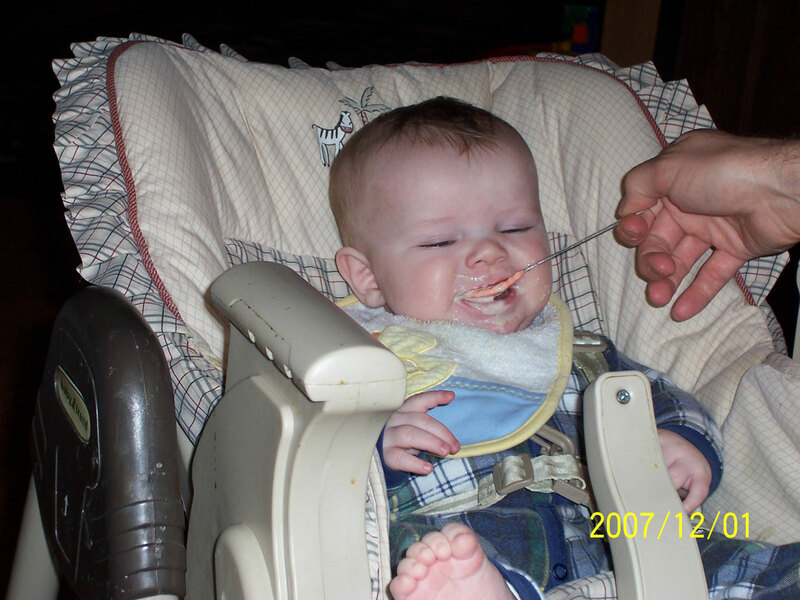 Andrew eating more baby cereal on December 1st. Andrew reaching for spoon. 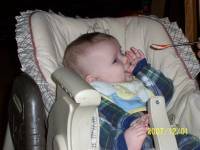 Andrew eating. Mark watching Andrew eat. 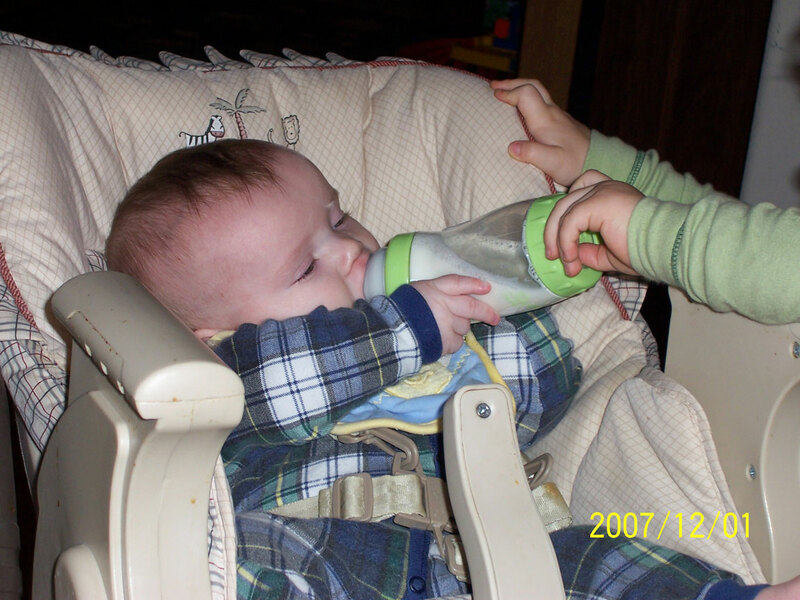 Mark holding bottle for Andrew. 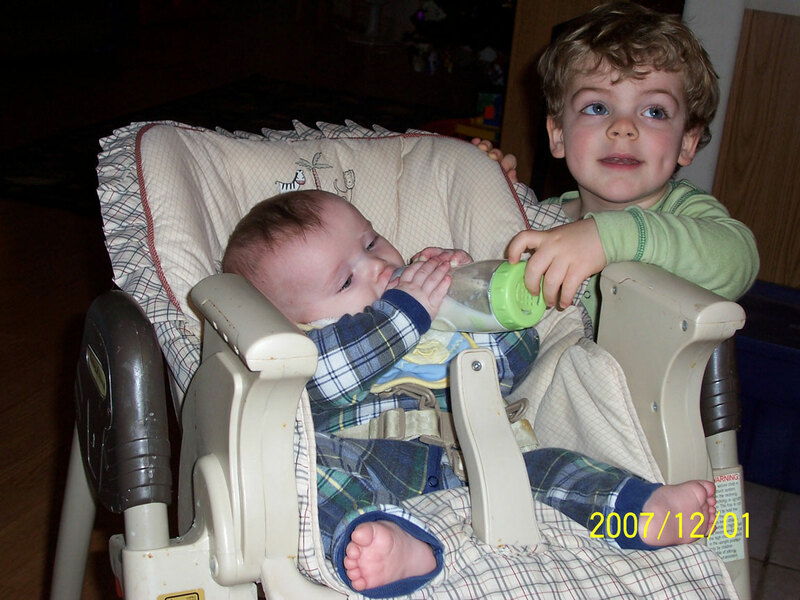 Mark holding bottle for Andrew on December 1st. This page was last saved on Saturday, March 1, 2008 .